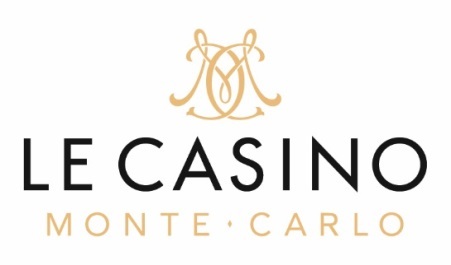 Monaco, September 27, 2016 – ONE DROPTM, one of the world’s leading organizations dedicated to sustainable access to safe water, along with Group Monte-Carlo Société des Bains de Mer and Caesars Interactive Entertainment today announces the release of the full tournament schedule and structures for the Monte-Carlo One Drop Extravaganza taking place at the Casino de Monte-Carlo, Monaco from October 13-17, 2016 to raise funds for the charity. For the full list of tournament structures, click here and for the official tournament schedule, click here. 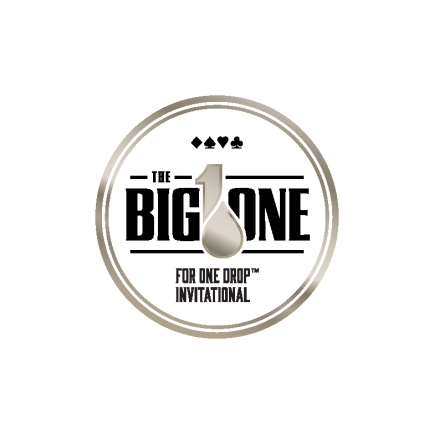 What’s more, 35 players to date are confirmed to play in the headlining event, The Big One for One Drop Invitational, which will begin at noon on Friday, October, 14 and will feature the largest buy-in poker tournament ever held – 1,000,000 euros. With €111,111 from each entry going to One Drop, and no other fees deducted for event operations, €888,889 from each buy-in goes directly into the prize pool. That is a staggering €31,111,115 up for grabs, with the expectation that these figures will grow when the final field is solidified and re-entries are tallied. In addition, the winner will receive one of the world’s most valuable sporting trophies, a ceremonial bracelet hand-crafted in platinum by famed jeweler Richard Mille. As an additional resource, as of today, those interested can sign up at https://Onedrop.youstake.com to facilitate the investment process. YouStake is the first online marketplace that allows fans to invest in their favorite skilled games and sports players while sharing in the winnings. Beyond the tournaments, cash games for recreational players by invitation of No-Limit Hold ‘em, No-Limit Hold ‘em six-handed and more are being offered every day from noon until 6 a.m. with buy-ins ranging from €2,500 to €1 million. October 13th, 2016 @ 10 A.M.
October 13th, 2016 @ 3 P.M.
October 13th, 2016 @ 8 P.M.
October 14th, 2016 @ 3 P.M.
October 14th, 2016 @ 6 P.M.
October 14th, 2016 @ 8 P.M.
October 15th, 2016 @ 1 P.M.
October 15th, 2016 @ 5 P.M.
Oct. 15, 2016 @ 8 P.M.
October 16th, 2016 @ 1 P.M.
October 16th, 2016 @ 5 P.M.
October 17th, 2016 @ 11 A.M.
A full VIP experience will be featured alongside the tournaments and cash games beginning with the signature experience of HEART Ibiza with incomparable first class cuisine and creativity imagined by the Adrià brothers, together with the enchanting performances curated by Cirque du Soleil on October 12th and ending with a celebration at famed restaurant Buddha-Bar and then an after-party at Jimmy’z Monte-Carlo featuring DJ Erick Morillo on October 17. ONE DROP™ is an international non-profit organization created by Cirque du Soleil® Founder Guy Laliberté. At the core of our mission is safe water as a transformative force to improve living conditions, as well as give communities the ability to care for themselves sustainably. We believe in the combined power of safe water while inspiring behaviour change towards water and proper hygiene practices by creating a lasting understanding through social art. To do this, One Drop has developed the unique A∙B∙C for Sustainability™ approach, a winning combination of strategic and operational interventions designed to address sustainable access to safe water and sanitation. To learn more about One Drop, visit www.onedrop.org. YouStake is the first fully integrated sports staking platform that allows the masses to invest in skilled sports players for entry in live events. 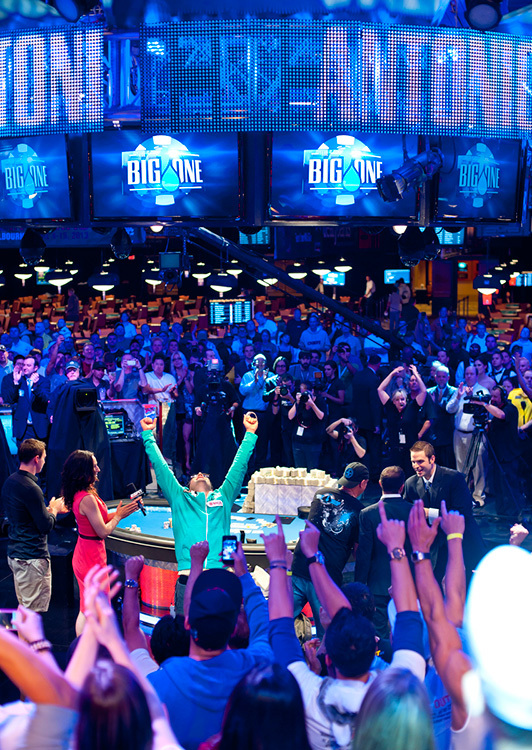 Some of the top players in the world are already using the platform, including Anthony Zinno, Jamie Gold, Greg Raymer, Allen Kessler, Max Pescatori and Todd Brunson. YouStake provides the technology platform needed for backers to invest in player entry fees, creates a new type of sports experience between fans and players through direct social interaction, and establishes a simple, secure, and transparent marketplace where players and backers both share in the winnings and excitement.